Over the years I’ve done lots of bits of web design and one of my favourite bits is testing out colour schemes. 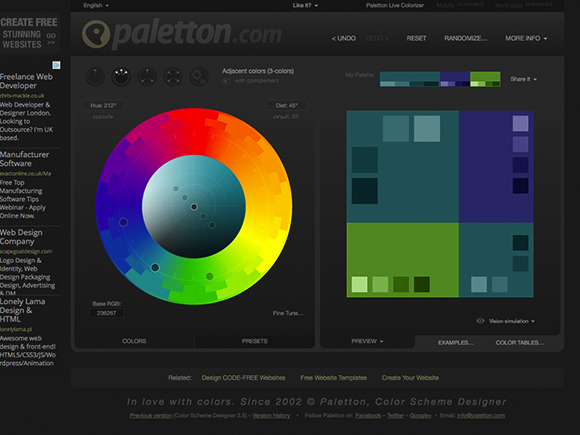 One of the tools I really like for picking colour schemes or playing with palettes is Paletton. And of course it is very helpful when you need to design a scheme or find a complementary colour for someone.